Hermantown, MN – The Hermantown Area Chamber of Commerce has announced its 2016 Volunteer of the Year Award recipient. Bob Gustafson was named as the 2016 Volunteer of the Year. Gustafson, Media Communications Manager for Visit Duluth, is an Ambassador for the Hermantown Area Chamber as well as a member of the Canal Park Business Association. Gustafson uplifts the chamber in various ways. Gustafson attends ribbon cutting events throughout the year, showing his support to and celebrating area businesses. Gustafson also assisted at the annual Golf Outing stepping in and helping drive members to their designated golf tees, making the event run smoothly for all attendees. On behalf of the College of St. Scholastica’s student-conducted Economic Research Team, we are writing in hopes that you will participate in our short Business Confidence Survey. This survey’s results are a vital portion of our work to assess the economic vitality of a specific 15 county region in Northeastern Minnesota and Northwestern Wisconsin. This biannually distributed survey allows local businesses and policymakers access to measures of growth and progress in the region. Additionally, by gathering key local economic indicators and trend information, the survey’s results help us support business owners. The Hermantown Area Chamber of Commerce is set to launch a new program with the mission to grow small businesses in the Hermantown area. Partnering with Hermantown Federal Credit Union as the sponsor, the program will award an enhanced chamber membership package to an area business. 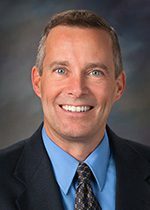 Hermantown, MN – The Hermantown Area Chamber of Commerce has announced that a vacancy on their Board of Directors has been filled by Bill Humes. The Board of Directors voted on the decision at the August Board Meeting. Humes is the General Manager at Grandma’s Saloon and Grill – Miller Hill. After attending the University of Minnesota Duluth for a year, Humes quickly realized his love for working in the hospitality industry. Over the past 37 years Humes has worked in 7 different operations, from corporate hotels to a 35 seat café, the past 29 years taking place with Grandma’s Saloon & Grill’s multiple locations. Hermantown, MN – The Hermantown Area Chamber of Commerce announced their Outstanding Ambassador Award recipient at their September Ambassador Luncheon held on Wednesday, September 7th. The Chamber Ambassador Program’s mission is to assist the Chamber in retaining membership through connecting, promoting, and creating a stronger chamber community. The Outstanding Ambassador Award was given to Jim Swanson. Swanson is the Business Services Specialist at Hermantown Federal Credit Union. A Hermantown High School graduate, Swanson has been with Hermantown Federal Credit Union for 29 years, working in multiple different areas including: Teller, Consumer Loan Officer, Branch Manager, Assistant VP of Lending, and Lending Operations Manager. It’s Hermantown, so perhaps it’s not surprising a hockey analogy was used in describing construction of a new medical clinic. “Congratulations for having the vision to see where the puck is going,” said Karen Pionk, executive director of the Hermantown Chamber of Commerce, during a groundbreaking ceremony on Tuesday for the St. Luke’s Miller Creek Medical Clinic. The Duluth hospital already has a Miller Creek Medical Clinic, on Miller Trunk Highway next to Skyline Lanes bowling alley. It opened in 1996. But the replacement clinic will be bigger — about 20,000 square feet versus about 14,000 square feet. It will be able to offer procedures and specialists not available at the current clinic, said John Strange, St. Luke’s CEO. A month ago, it appeared that the new Holiday Inn Express & Suites in Hermantown might not be open in time for the busy Grandma’s Marathon weekend. But — in some good news for both the business and for runners looking for a last-minute place to stay — the five-story, 80-room hotel opened its doors on Thursday. It’s located south of Miller Trunk Highway and west of Haines Road. “Weis Builders did a great job keeping everything on schedule,” General Manager Brianna Vander Heyden said. “If people are still without hotel rooms for Grandma’s Marathon, we’re open and here to help. Vander Heyden said the hotel didn’t want to take reservations until they could fully serve guests.